BRUSSELS, Belgium, May 26, 2011 (ENS) – Metals essential for clean technologies such as hybrid car batteries and wind turbine magnets may be in short supply as the era of cheap, easily accessible ores comes to an end, but existing products containing these metals are being discarded, not recycled, finds a UN report issued today. “In spite of significant efforts in a number of countries and regions, many metal recycling rates are discouragingly low, and a ‘recycling society’ appears no more than a distant hope,” states the “Recycling Rates of Metals: A Status Report,” compiled by the UN Environment Programme’s International Resource Panel. The weak performance is especially frustrating because, unlike some other resources, metals are “inherently recyclable,” says the study, released at the London Metal Exchange in the United Kingdom, and in Brussels at Green Week, Europe’s largest annual environment conference. “In theory, metals can be used over and over again, minimizing the need to mine and process virgin materials and thus saving substantial amounts of energy and water while minimizing environmental degradation,” said Achim Steiner, executive director of UNEP. “Raising levels of recycling worldwide can therefore contribute to a transition to a low carbon, resource efficient Green Economy while assisting to generate green jobs,” he said. “The report on recycling rates of metals, containing stupendous figures of low recycling rates of most of the high tech “spice” metals, calls for strategic action to increase the recovery of those metals,” said Ernst von Weizsaecker, co-chair of the Panel. 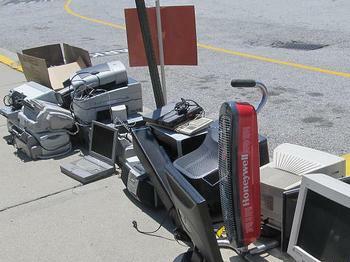 Less than one-third of the 60 metals studied for the report have end-of-life recycling rates above 50 percent, while recycling rates are less than one percent for 34 specialty metals. By some estimates recycling metals is between two and 10 times more energy efficient than smelting the metals from virgin ores. At the same time, extraction currently accounts for seven percent of the world’s energy consumption, with emissions that contribute to climate change. The “Recycling Rates of Metals” report is the first attempt to gather accurate and consistent information about the extent to which metals are collected, processed and reused in new products, says Thomas Graedel, a professor of industrial ecology at Yale University and one of the report’s eight authors. The report finds lead is the most recycled metal. Nearly 80 percent of products that contain lead, mainly batteries, are recycled when they reach the end of their useful life. More than half of the iron and other main components of steel and stainless steel, as well as platinum, gold, silver and most other precious metals, are recycled. But while 70 to 90 percent of gold originally used in industrial applications is recycled, only 10 to 15 percent of gold in electronic goods is recycled. 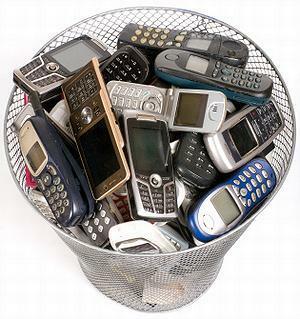 The report recommends addressing the fact that many products containing valuable metals are “hibernating” in drawers and closets, and others, such as mobile phones, are all too often just tossed away. Globally there is virtually no recycling of other metals, even valuable metals like indium, which is used in semiconductors, energy-efficient light emitting diodes (LEDs), advanced medical imaging and photovoltaic solar cells. Specialty metals like tellurium and selenium, used for high efficiency solar cells, are rarely recycled, nor are neodymium and dysprosium, used for wind turbine magnets, lanthanum for hybrid vehicle batteries, and gallium used for LEDs, the report shows. It is not yet possible to estimate how close industry is to a shortage of these specialty or rare earth metals, mainly because so little is known about the potential of mining to continue as their main source. The report says recycling could be boosted world wide by encouraging product design that makes disassembly and separation of materials easier. The panel of authors also recommends improving waste management and recycling infrastructure for complex end-of-life products in developing countries and emerging economies. While government agencies some industrialized countries such as Germany, Japan and the United States are developing rare metal recycling methods, it will take time for their efforts to pay off.